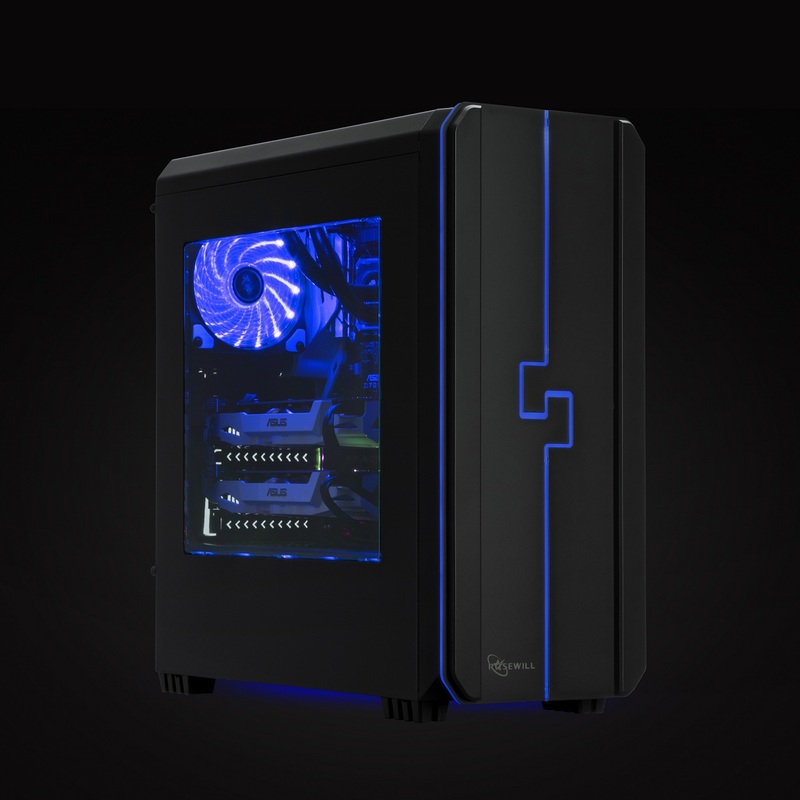 In addition to the RGB LED lighting features, the ORBIT-Z1 features a large side window to showcase the powerful gaming components within. With the window, gamers are able to admire the stunning rig glowing with their unmatchable skills in the battlefields as ORBIT-Z1’s LED lights shine and fascinate victoriously. Plus, the gaming case is programmed with 10 LED effects, all of which can be controlled on the case’s top I/O panel with easy access. Gamers looking to create a custom-built rig of their own will find ORBIT-Z1 more than satisfying with its high quality and ease to build. Serving as an entry level solution for PC gamers and PC DIY beginners, the ORBIT-Z1 has been designed to deliver performance without compromise. The chassis has the capability of supporting up to 6 fans mounted at the front, top, rear and on the PSU shroud for illuminating brilliant LED effects and enhancing airflow. 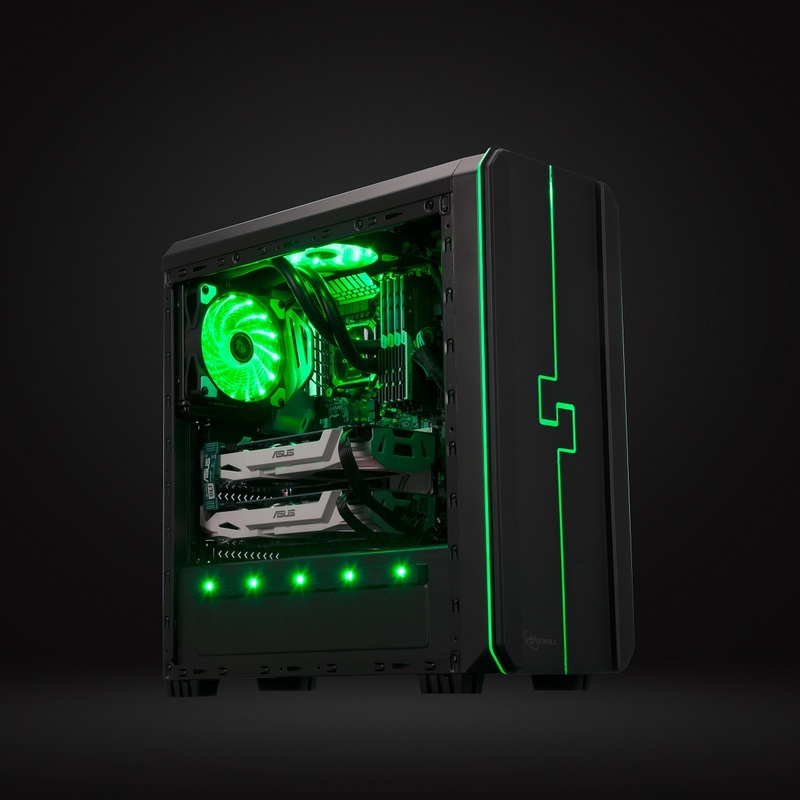 Building within the case is made easy with its spacious interior and ability to support CPU coolers up to 160 mm tall, video cards up to 380 mm long, as well as up to a 240 mm radiator in the front and a 120 mm radiator on top or at the rear. Level up your RGB rig to the next level by keeping your system cooled with liquid cooling and pushing ORBIT-Z1 to its maximum potential. Rosewill has proven to be the go-to brand for quality, budget-friendly PC hardware, providing reliable products to PC builder and gamer communities. 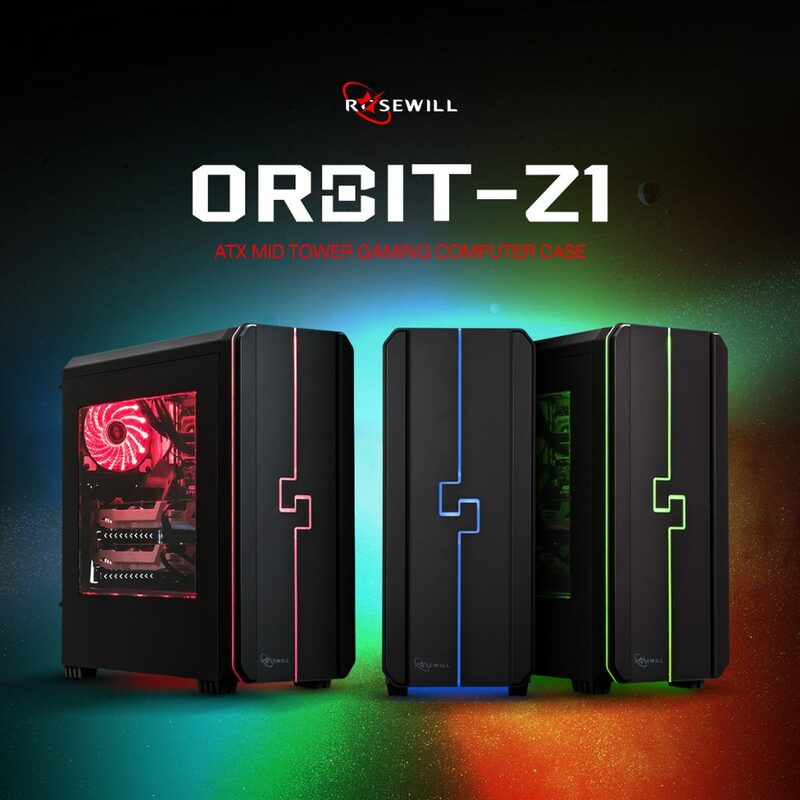 The ORBIT-Z1 is yet another quality, affordable, and dependable Rosewill product, perfect for those desiring a gorgeous case without the outrageous cost.